Harp and A Monkey - "The Victorians"
Harp and a Monkey "The Victorians"
Harp and a Monkey, truly are one of East Lancashire's most unique and award-winning musical offerings. 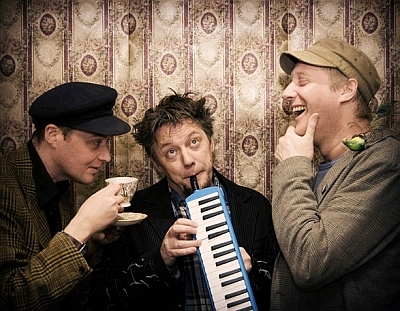 The trio’s melodic and hauntological storytelling, which is always underpinned by a firm commitment to classic songsmithery, has caught the attention and support of the likes of Steve Lamacq, Mark Radcliffe and Clare Balding on BBC Radio, alongside more international, national and regional broadcasters. A new performance for 2019, The Victorians, looks at the folk, music hall, parlour songs and street music of the Victorian era – and what it can tell us about the people and their many foibles. The songs cover a myriad of themes from the deportation of convicts to jilted lovers and those opposed to the temperance movement. A truly uplifting and thought-provoking show.